OK, so I’m headed to Dragon Con 2018! So excited! 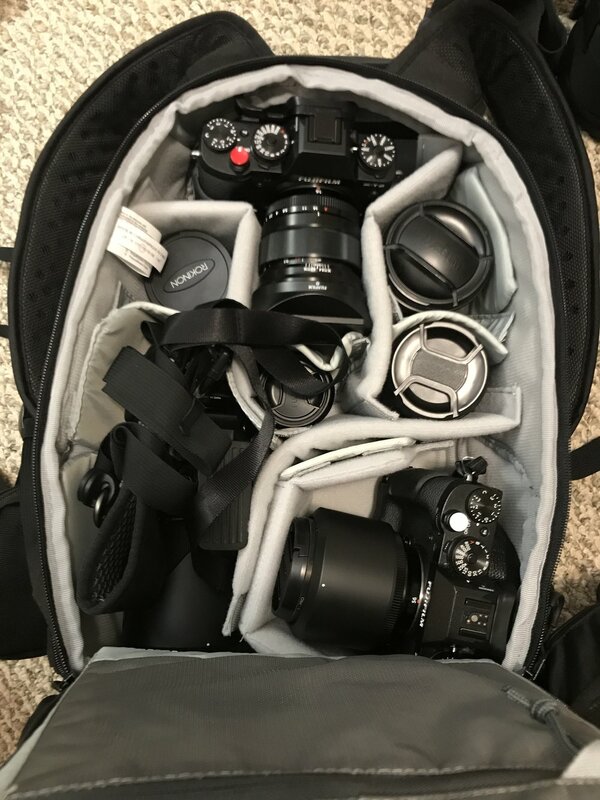 I’ve never packed this much camera gear before. Luckily, I got myself a pretty good bag, a Lowepro ProTactic 350 AW. OK, so yeah, this photo is a bit blurry. I'm in a hurry!! Oh, and some snacks and stuff.